Four people were killed and 15 injured on Thursday in violence linked to food looting in Venezuela, according to members of the opposition and the local press. It brought to six the number of deaths tied to desperate food shortages in the oil-rich but crisis-riven country since December. In the town of Arapuey in the west of Venezuela, for several days now looters have targeted shops and stores and clashed with soldiers, said Carlos Paparoni, an opposition lawmaker. He said around 100 people have been arrested. Gaby Arellano, another opposition lawmaker, said the area has been "overtaken" by soldiers and police, with shop owners doing what they can to defend their property. 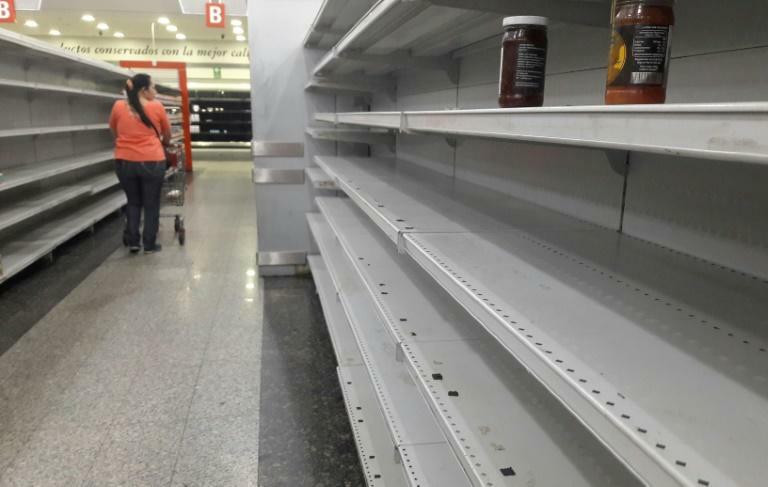 Venezuela is in the throes of a deepening crisis caused by falling oil prices, spiraling inflation, and corruption that has decimated the economy. In the past several days looting and attempted looting has broken out in a number of towns and cities. A 19-year-old Venezuelan was shot dead Wednesday when hundreds of people looted trucks carrying flour and chicken in the western city of Guanare. On December 31, a young woman, also aged 19, died after being shot in the head, allegedly by a soldier, while waiting in Caracas to buy pork distributed by the government. Hyperinflation is expected to top 2,300 percent this year in Venezuela. Local universities say 30.2 percent of Venezuelans face poverty and 51.5 percent extreme poverty while the government puts the figures at 18.3 percent and 4.4 percent, respectively.